Russia has refused to respond to the British "ultimatum" about a clandestine Soviet chemical weapon allegedly used in an ex-double agent’s poisoning until a sample of the agent is provided, the Russian foreign minister said. As reported on Monday, British PM Theresa May said a chemical weapon developed under a secret Soviet program dubbed Novichok was used in the poisoning of Sergei Skripal. May demanded that Russia provide details of the program, saying otherwise London would consider the poisoning an attack directed by the Russian government. On Tuesday, Moscow balked at this demand, with the Russian Foreign Ministry saying that it had summoned British Ambassador to Moscow Laurie Bristow. 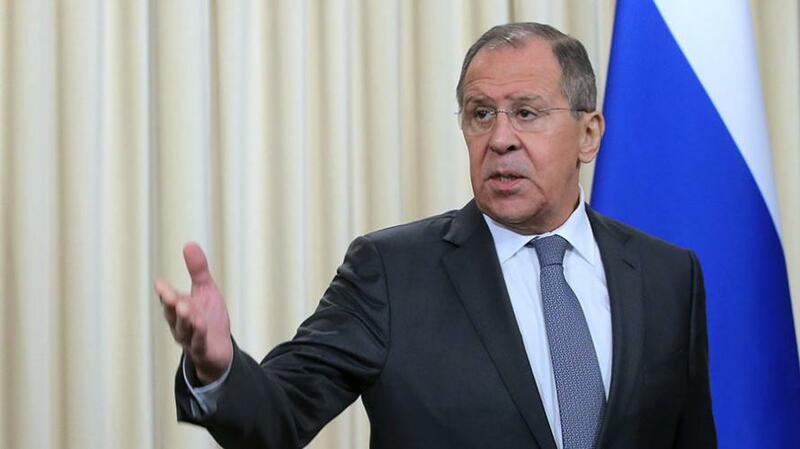 Lavrov said that a case of alleged use of chemical weapons should be handled through the proper channel, being the Organization for the Prohibition of Chemical Weapons of which both Russia and Britain are members. “As soon as the rumors came up that the poisoning of Skripal involved a Russia-produced agent, which almost the entire English leadership has been fanning up, we sent an official request for access to this compound so that our experts could test it in accordance with the Chemical Weapons Convention [CWC],” Lavrov said. So far the request has been ignored by the British side, he added. The minister assured that Russia has nothing to do with the poisoning of Skripal and would assist Britain in the investigation, provided that London meets its own obligations as to how such probes are to be handled. The OPCW rules allow Britain in this case to send a request to Russia on the suspected Russian-made chemical weapon and expect a response within 10 days, Lavrov explained. If the response is not satisfactory, Britain would have to file a complaint with the organization’s executive council and the conference of CWC member-states, he said. Russia's diplomatic sparring aside, according to BlueBay Asset Management’s Timothy Ash, U.K. “countermeasures” mentioned in Prime Minister Theresa May’s statement likely mean new sanctions. "Significant sanctions against Russia seem likely, and I would expect the U.K. to request support from its NATO and EU partners with this." Naturally, this would also mean that Russian LNG is suddenly not obtainable during the next British deep freeze. There’s unity “across the U.K. political spectrum” as well as “an understanding that the U.K. has to act and with very significant measures to ensure its own security,” Ash says in emailed note. Finally, as reported earlier, US Secretary of State, and formerly a close friend of Vladimir Putin, said that it was "clearly" Russia that was behind the Skripal poisoning, without providing any actual evidence, and warned that the action will "trigger a response." We now wait to find out what this "response" will be.